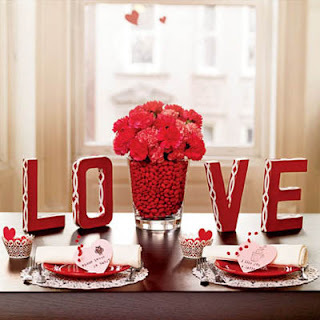 Valentine's Day is probably the most romantic day of the year and it's always a good idea to surprise all the people you love, however, you also can do it any day and don't wait for a special one. 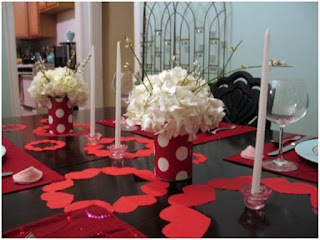 If you are thinking about an original "gift" here we present a selection of romantic Centerpieces for Valentine's Day, it will be a great way to surprise the person you love during the lunch or dinner that you are planning. 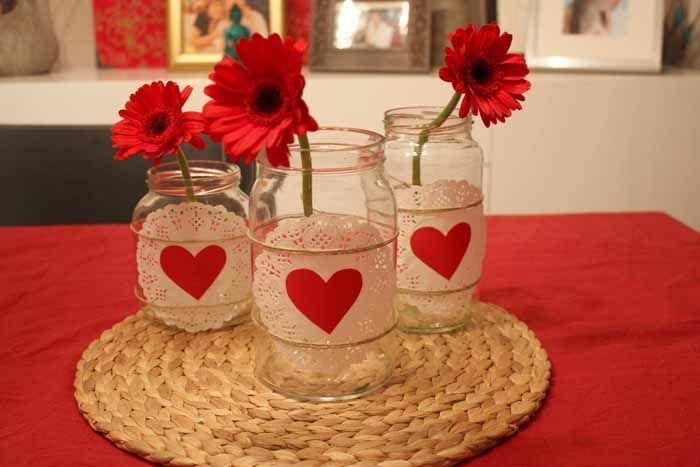 Centerpiece for Valentine's Day with three vases decorated with a red a heart and a flower of the same color inside. 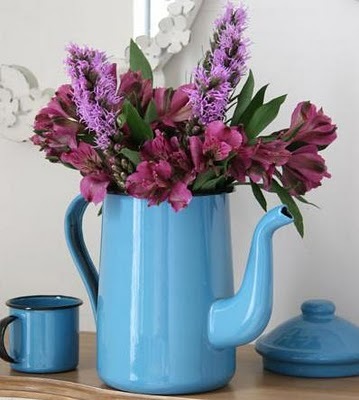 If you prefer a vintage style, here you have a Centerpiece for Valentine's Day with an antique jug used as a vase and some exotic flowers. Centerpiece for Valentine's Day with the word LOVE and a vase with fruits and red flowers. If you are planning a sweet surprise, here you have a centerpiece for Valentine's Day full of candy. 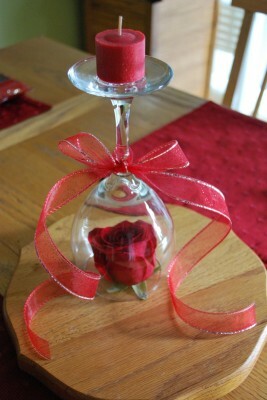 Centerpiece for Valentine's Day with an inverted cup, a rose inside, a candle on the top and a ribbon in the middle, all these details in red. 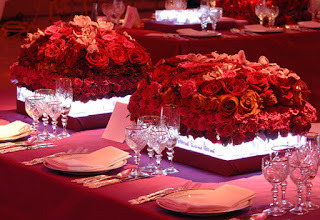 Centerpiece for a very elegant Valentine, with lights between the base and red roses. 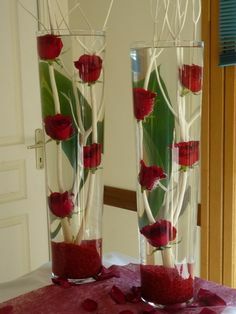 Centerpiece for Valentine's Day with beautiful submerged red roses inside, some white branches and large green leaves. Centerpiece for Valentine's Day with red vases of white polka dots and flowers of the same color inside. 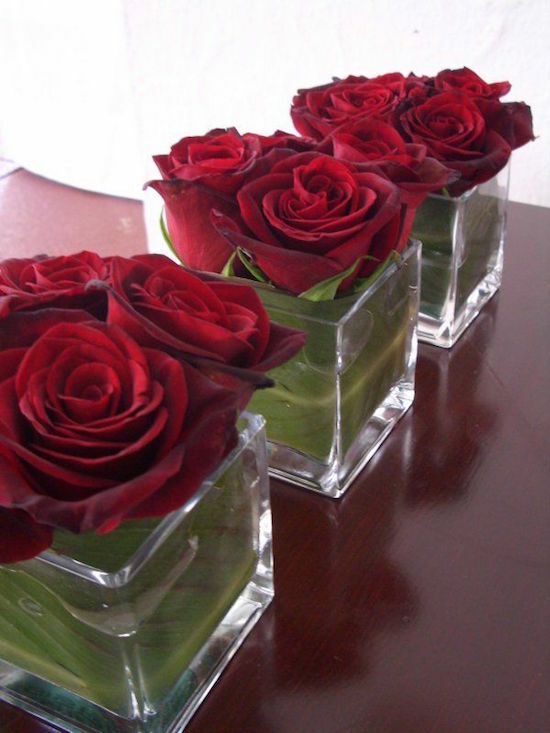 Centerpiece for Valentine's Day with three vases with submerged fuchsia flowers inside. 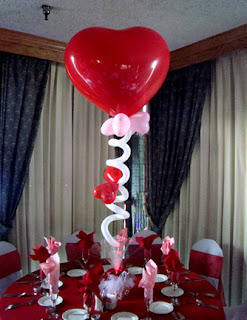 Centerpiece for Valentine's Day with a big red balloon in the central part. 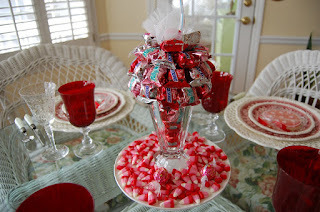 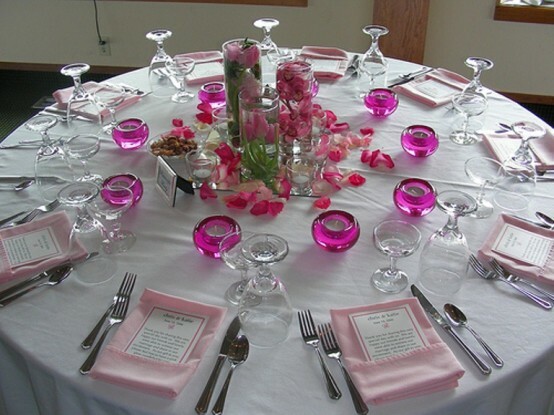 Centerpiece for Valentine's Day with vases of crystal and red roses inside.